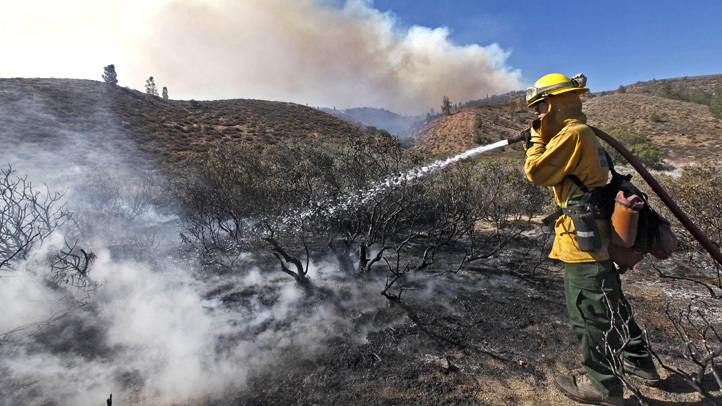 File image of Soberanes Fire. Shifting winds in Monterrey County have put firefighters battling the Soberanes Fire on their toes Sunday. Reports indicate that the blaze, which has been raging for more than two weeks, has picked up in the southwest portion of the fire area, creating new evacuation orders, according to Cal Fire officials. Residents living east of Highway 1 beginning at Coast Road and ending at the intersection of Andrew Molera State Park have been asked to vacate their homes, Cal Fire said. Those homeowners have been added to the evacuation list which also includes people living on Palo Colorado, Old Coast Road, Bixby Creek Road from Highway 1 south to Mesa and Garrapatos Road. Those residing on Cachagua Road from Nason Road to Trampa Canyon Road have also been required to evacuate. Sunday's new list of mandatory evacuations comes just one day after some residents were allowed to return to their homes. 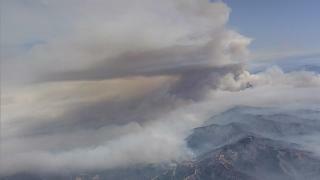 The blaze has scorched 57,500 acres and was 45 percent contained as of Sunday morning, according to Cal Fire. 650 structures are currently threatened by the flames and 57 homes have already been wiped away by the fire that was ignited from an illegal campfire, Cal Fire said.